It seemed only fitting that Jamie Whincup’s record-equalling 105th Supercars win would be one of his best. Everything needed to be perfect to win on Sunday. Aggressive pit strategy from the team and some savvy race craft from the driver at critical moments. It was as good as it gets. The fact that it came after six second place finishes and a total of nine podiums from the first 13 races without a win gave it all the more poignancy. Triple Eight still doesn’t have the fastest car in Supercars at the moment, but the tenacity shown by Whincup in the early part of the year shows he’s going to take some beating. Arguably, if Whincup is to win a seventh title this year it’d be the biggest achievement yet by the driver and the team, given the strength of competition provided by Shell V-Power. Firstly, some perspective. Dropping 158 points from the championship lead is far from the end of the world when there’s still 2,100 left on the table this season. 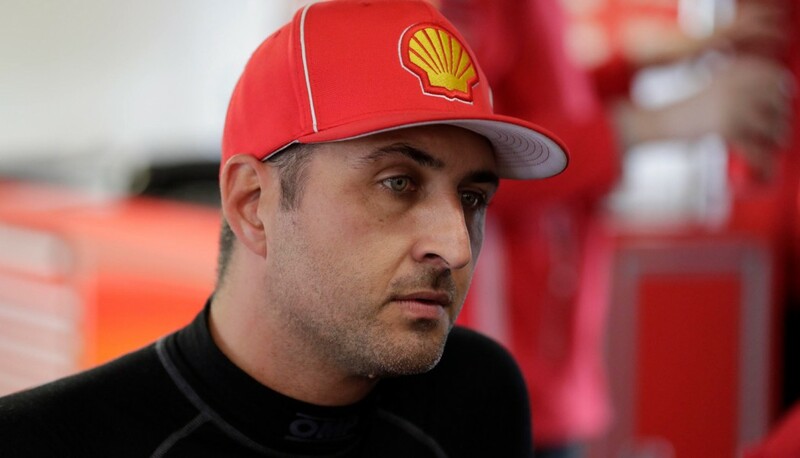 The way Fabian Coulthard lost those points in Townsville, however, should be of far greater concern at Shell V-Power. The Kiwi was no better than ninth in any session all weekend as he struggled to get anywhere near team-mate Scott McLaughlin on single lap speed. While the Race 13 tangle was not his fault, Coulthard looked far from sure-footed in the opening corners on Sunday and pulled a clumsy passing attempt that resulted in a penalty. With McLaughlin now fully settled into the team and in devastating form, Coulthard will need to draw on all his experience to move on quickly from his Townsville shocker. 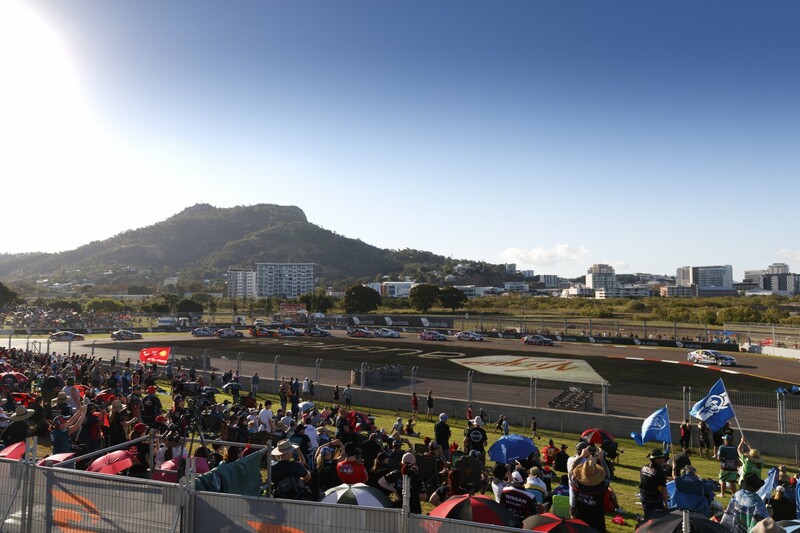 Two 200km races devoid of Safety Cars on a relatively high degradation circuit meant the state of play in 2017 was clearer than ever in Townsville. The top non-Shell or Red Bull car was more than 30 seconds adrift of the winner at the end of 70 laps on Sunday. 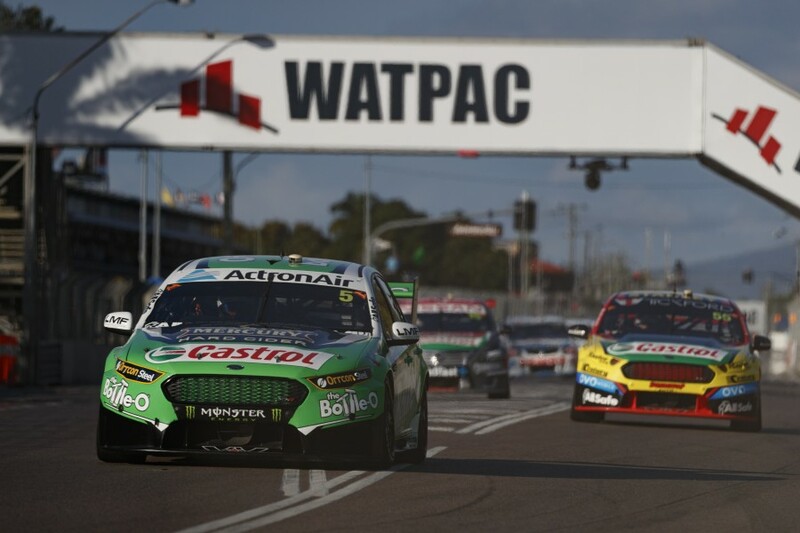 In both races it was Prodrive and Mark Winterbottom sitting as best-of-the-rest with third on Saturday and fourth on Sunday. Garry Rogers Motorsport was the fourth-best team on both days thanks to Garth Tander, who was 37s and 35s away from the win in the respective races. Further back the plight of Nissan was also highlighted, with the top Altima greeting the flag 82s behind on Saturday (Michael Caruso, 15th) and 66s adrift (Rick Kelly, 12th) Sunday. Another notable was the way that the form changed in the second-tier battle from Hidden Valley to Townsville. On the high-grip Darwin circuit, Brad Jones Racing scored a podium and Nissan jagged a pole while Prodrive and GRM’s Garth Tander struggled. Prodrive’s turnaround was the most impressive and clearly a relief for the team, as evidenced by Winterbottom’s huge smile after both races. The mid-pack battle is so close, however, that the form within the Prodrive camp is swinging dramatically. 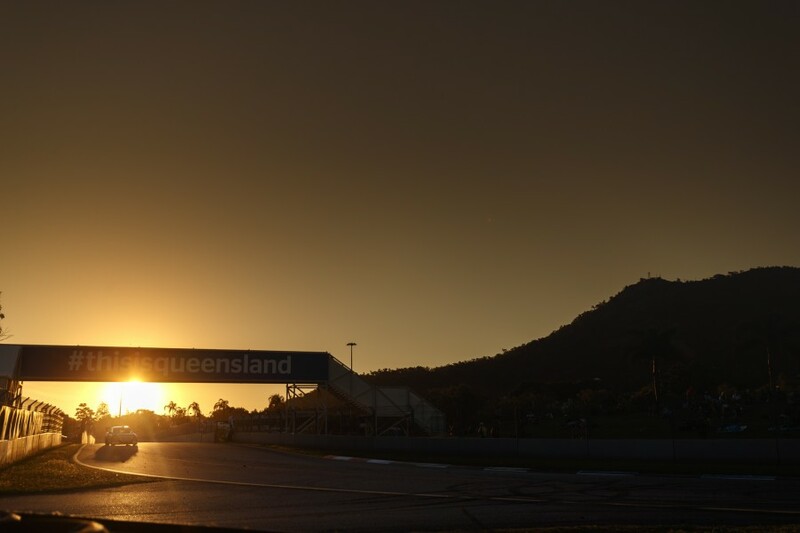 Cameron Waters was the flag-bearer dragging a top 10 out of a horrid Sunday at Hidden Valley, but struggled badly for race pace on Sunday in Townsville, slumping to 14th. Todd Hazelwood is in fine form as he builds up to a critical couple of months in his Supercars career. 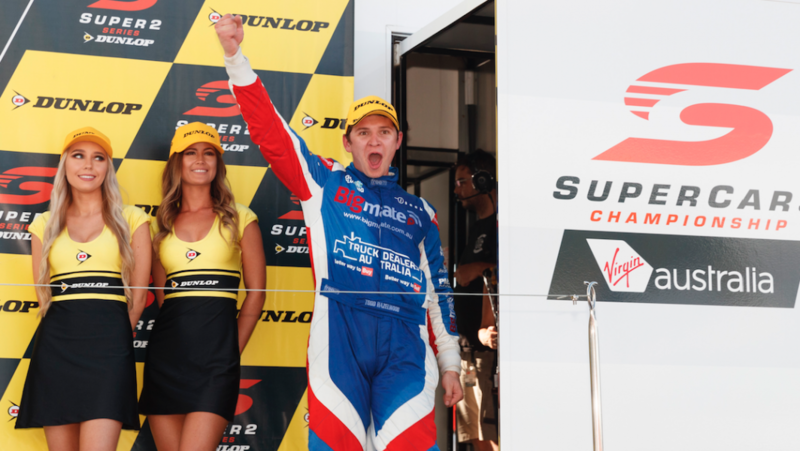 The 21-year-old had a near perfect Dunlop Super2 Series weekend in Townsville, scoring a first and a second in the qualifying sessions before winning both races and taking the points lead. The form makes the South Aussie’s main game wildcard appearance with his Matt Stone Super2 crew at Queensland Raceway at the end of this month highly anticipated. In turn, the wildcard will be the perfect preparation for a rookie Pirtek Enduro Cup campaign with Brad Jones Racing that could propel him into the main series full-time in 2018. Now in his fourth Super2 series season, this year was always going to be time to shine for Hazelwood and, so far at least, he’s doing just that.